Check-in begins 30 minutes prior to each public sail. Please use 275 Lake Avenue, Santa Cruz, CA 95062 for GPS directions. Dress in layers and bring an extra jacket, sunglasses and sunscreen with you to the sail. Food and non-alcoholic beverages are welcome aboard. No BYOB, but we do have beer and wine for sale at the galley bar. Flat, soft-soled shoes only. No high-heels or hard-soled boots permitted. Children 12 years and younger must wear a life vest throughout the sail, which OYC will provide. Parking meters at L Dock are coin-operated and cost $1.25/hour. O'Neill Yacht Charters has been serving the sailing community since 1965. All of our skippers have extensive sailing backgrounds and are all licensed by the United States Coast Guard. In addition our skippers have trans-Pacific sailing experience and have extensive knowledge of the local waters. Mike Egan holds a 100 ton Coast Guard master’s license and has been with O’Neill’s for over 15 years. He has an extensive sailboat racing background and has been involved in the Yacht business his entire adult life. He is married to wife Jill and has a son Zach and daughter Ashley. Steve Spiliotopoulos began working as a deckhand in Santa Barbara in 1993 aboard a dive boat that made regular multi-day trips to the Channel Islands. Working and diving among the Channel Islands allowed him to acquire many skills and knowledge of boats and the marine environment. Moving back to Santa Cruz in the year 2000, Steve began working for the O’Neill family. 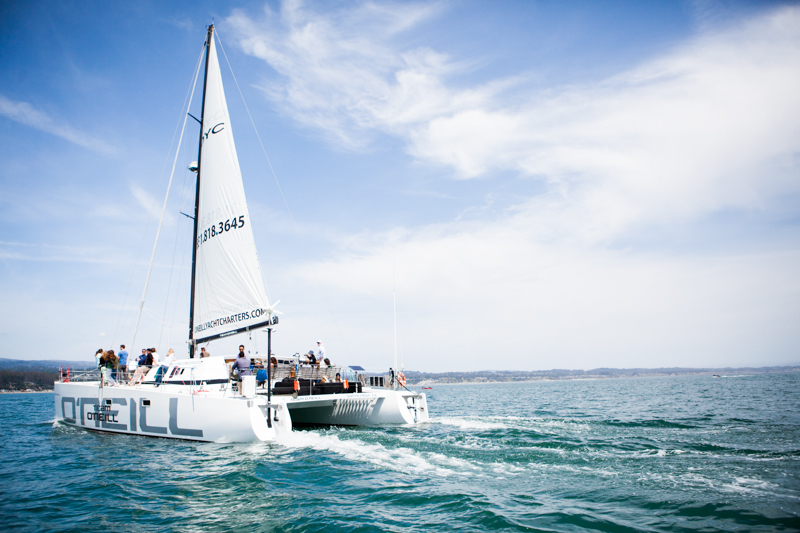 As a store manager in the Santa Cruz Harbor he was able to get to know Tim and Mike and shortly thereafter began working on the catamaran. He has been with the Team O’Neill Catamaran since 2002 where he currently holds the position of senior deckhand.